Polished sterling silver. 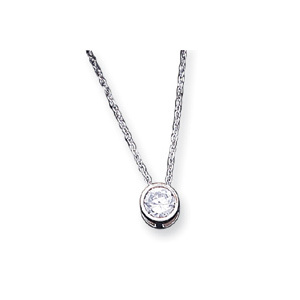 Round brilliant cubic zirconia, bezel set. Length: 18in. Weight: 2.7 grams. Springlock clasp. Pendant measures 1/4 inch round. Made in the USA.